Read a good book lately? I have. 15 in fact! All the books that I read last year were awesome–honestly! I loved them so much that I’m recommending them to you! I’ve included 15 GREAT books below with a 3 or 4-sentence review! This is the first Southern novel that I read by Tammy, and it won’t be my last. I learned so much about history, and I fell in love with the characters in the process. I have to admit it made me want to learn to paint … or attend a ball! I picked up Larkspur Cove because I wanted to try a new author, and I was amazed by how much I loved Lisa’s writing. Real-to-life characters made me really care. And some quirky characters kept me laughing. And the hero … swoon worthy! I loved Larkspur Cove so much I put it down and I picked up Blue Moon Bay. I wasn’t disappointed. It’s a romance set in a former funeral home … yes, you read that right! Loved it! I’ve never read a Francine Rivers book that I didn’t love. A Bridge to Haven didn’t disappoint. Francine not only takes me on a character’s heart journey, her words always inspire me to consider my own heart before God, too. Beverly Lewis is the “grandmother” of Amish fiction, and as an author of Amish novels I knew I needed to read her. I enjoyed all three books in this series. The story captured me and I read one after the other. Now I know why people got hooked on Amish fiction after reading these! I’m currently writing an Amish cozy mystery. (In fact, I just finished at 2:00 a.m. last night!) I read Vannetta’s book to inspire me. It was a fun read that had me guessing. 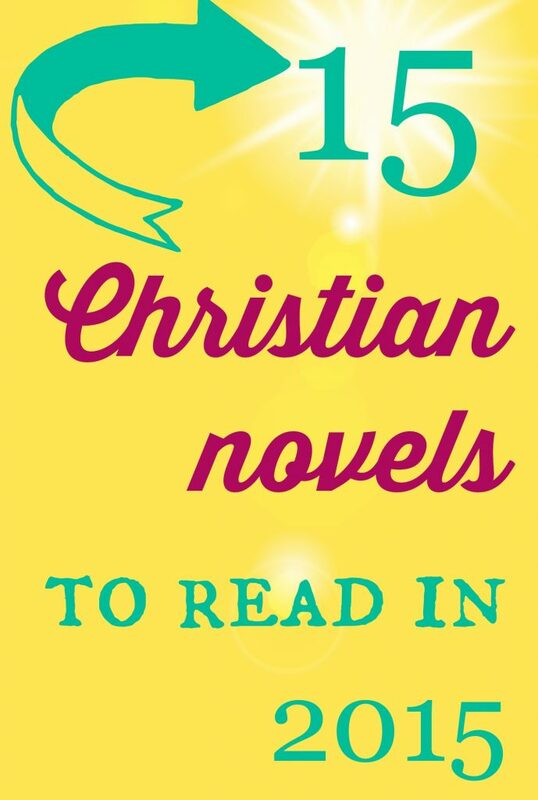 Hop on over to InspiredByLifeandFiction.com to read the rest of my favorite Christian novels of 2014! I’m so glad I could keep you awake until 2 am, Tricia. Or maybe that was your babies? 🙂 You are an inspiration to me as well, my friend. Books keep me up late. Kids get me up early! Thank you for your recommendations, Tricia. I’m looking forward to reading your cozy mystery book. We have all the books mentioned above in the church library. I have devoured two series by Kristen Heitzmann recently, the Michelli Famil6y series, and the Diamond in the Rockies series. Wow! Good reads that bring faith into ordinary living. Loved them! Lisa Wingate has quite a few books on Amazon with great prices! Check out Nicole Deese, too. Love her books and anxiously waiting for more. Anything by Beverly Lewis is awesome!! She’s my favorite author 🙂 A friend from church buys them, reads them, and then let’s me borrow them, lol. They’re all wonderful!! I do enjoy her books, too!